So, wearing black at work may have some secrets, but let’s focus on the perks and truths of adding color to your life. You probably already seen the explosion of coloring books and apps available to take your mind off your stress. That’s a modern convenience for sure, but does it resolve the problems, unblock the chakras, miraculously numb the harder feelings in your life? While adult coloring puts you in a state of flow, nothing will change if you don’t take action and make the change you wish to see in this world by shifting the energy. Let me share the real scoop when it comes to color therapy. Color is light and shadow. People are light and shadow. Like the electromagnetic spectrum, the spectrum of being human varies. Color reminds me there’s a great balance in this Universe that governs, and it’s not my place to judge someone’s shadow or diminish someone’s light to feel better. Color is a language of expression. The color of words, lyrics, notes, and tubes of paint help us to communicate deeper feelings and moods our soul is experiencing. Expressing ourselves is a great gift and color is the language of our consciousness and subconsciousness. Color is masculine and feminine. All gender identities benefit from color. When you swatch your intentions and color your life in action, you’re able to feel both active and passive in your reality. Pink and blue are no longer an indicator of gender expression or identity. Emotions and feelings are androgynous, universal and colorfully human. Color is spiritual, not religious. The old world used color to define a religious hierarchy of worthiness and power, but in the new world, you are living energy that exudes beyond hierarchical lines of oppression and segregation. Colors that promote authority, intuition and divinity are available to you. Bible not included. Color is attractive. You catch more flies with honey than you do with vinegar, as the saying goes. Of course, we don’t need pests or pessimistic people in our social circles so using color boosts your outlook, improving the mood of being around you thus making you way more attractive to the people, places and things you want. Curious? Read Rainbow Revolution to find out. Color is you. You’re buzzing with a frequency of thoughts, dreams, desires, wants and needs that the Universe responds to through situations and circumstances. Colors saturate (contract or expand) your energetic fingerprint, so it’s vital you attune (by eating, wearing and supporting) your reality with color so that you sync up with the real you (not the version of you that fear favorites). Everything is energy. Even you. Color is multidimensional. The more you develop as a human using color as a tool to reflect on and understand the mood of the Universe, you’ll adapt, move and evolve your extrasensory perception of the world. No longer caged within the confines of feeling inadequate, worthless, ordinary, regular or weak. You emerge with the mood of the collective force and assimilate to a greater evolution beyond time and space. Color supports you on multiple levels in body, mind, and soul. 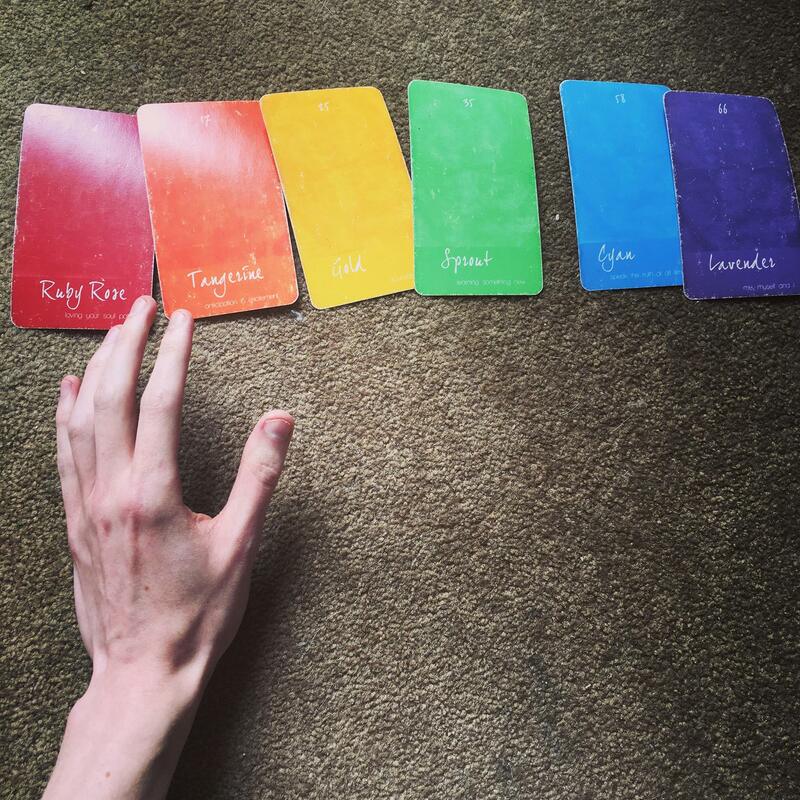 Bernard Charles wrote the best selling book in phenomenology called Rainbow Revolution and created the world's largest color therapy card deck, The Color Mage Oracle. His work has been featured in Soul and Spirit Magazine, Thrive Global, Bustle, Positively Positive, and WHIRL Magazine. Bernard is a lifestyle coach and color psychologist. When he's not filming inspirational videos on Facebook, you'll find him casting spells in World of Warcraft. Bernard carries a fresh unconventional attitude when speaking on diversity, spirituality and color psychology. Visit his virtual home at thecolormage.com to learn more.